LH Virtual Runner--I just want the shirt! Please attend Packet Pick-up Friday, April 26th to ensure you receive a t-shirt. Otherwise, sizes or shirt not guaranteed. 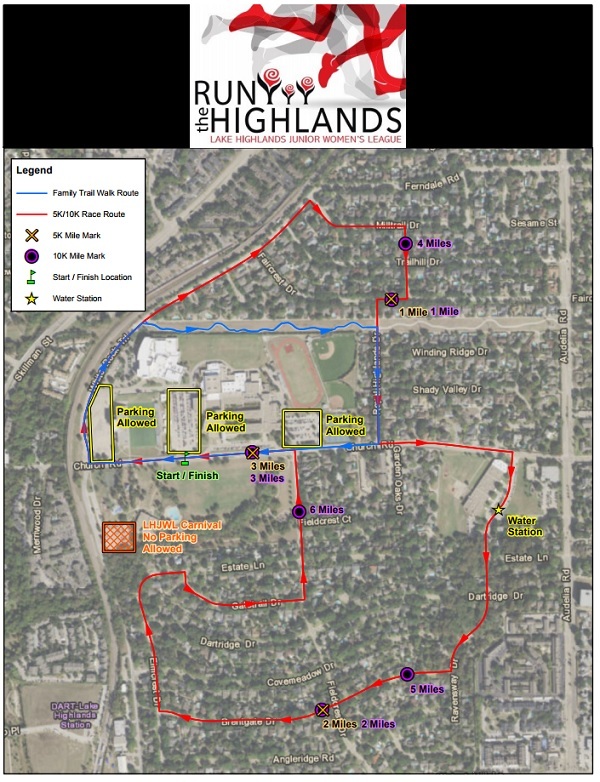 All participants will receive a Run the Highlands t-shirt. Sizes are not guaranteed if registered after April 2nd. 1-12, 13-19, 20-29, 30-39, 40-49, 50-59, 60-69, 70+. The mission of the Lake Highlands Junior Women's League (LHJWL) is to instill a sense of community for young women in Lake Highlands through volunteer and social activities with a focus on raising funds for the beautification and improvement of the LH community. When this page loaded, the official time was 7:58:58 AM EDT.